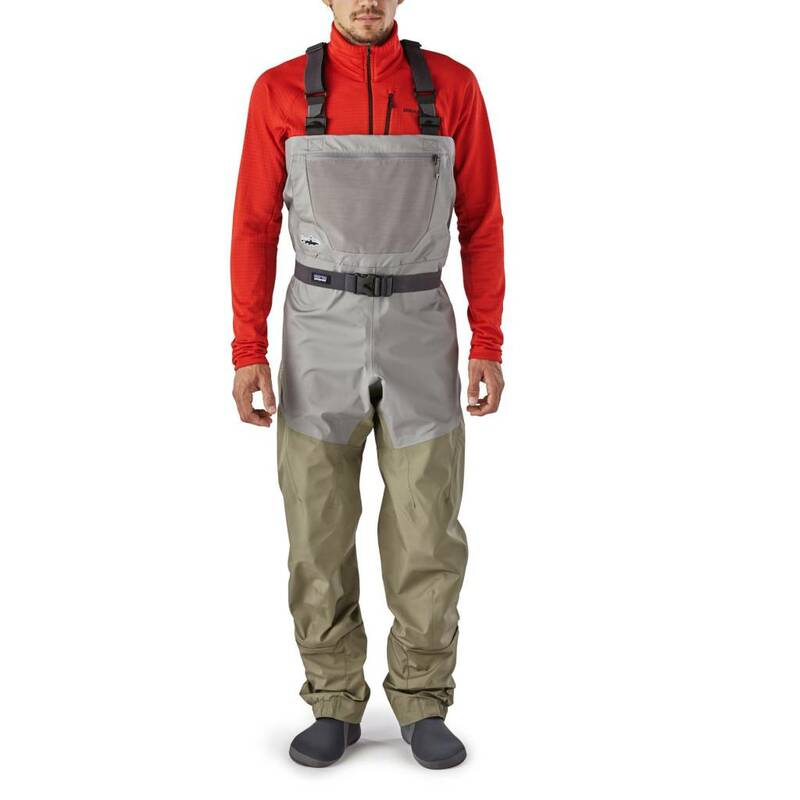 Whether you’re scrambling up small, high-gradient freestones or doing the cast-step-mend steelhead dance in deep water, our Skeena River Waders strike an ideal balance between lightweight and tough. 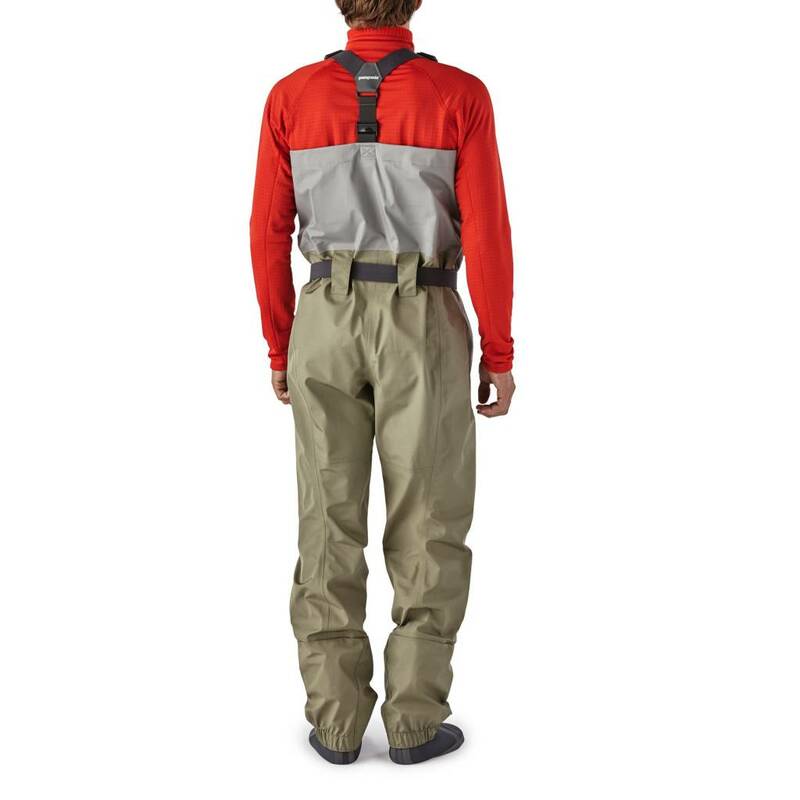 These highly versatile fly-fishing waders are built from varying weights of tough 4-layer polyester microfiber with our proprietary waterproof/breathable H2No® barrier and NanoSphere® DWR (durable water repellent) finish. Single Seam Construction (SSC) increases durability and freedom of movement. They’re also loaded with fishing-friendly features: our innovative internal suspension system allows easy conversion to waist height and – this is critical – quick relief without having to remove your jacket or fight sticky zippers; internal, welded-TPU waterproof pocket keeps camera or phone dry; chest handwarmer pockets with water-resistant zips protect your off hand from the elements; additional upper storage pockets and 100% nylon utility keeper secure essential tools. The custom-fit left and right booties are made from 3mm neoprene with abrasion-resistant soles. Field repair kit included.